Update: The latest version of Java SE certification is now OCAJP 11 (1Z0-815) and OCPJP 11 (1Z0-816) which is based upon Java 11 version. You can take these two exams to become a certified Java 11 developer, but if you already have an Oracle Certified Professional Java Programmer for the Java 6, 7, or 8 version, then you can take the upgrade OCP Java 6, 7, and 8 to Java SE 11 Developer exam (Exam Code 1Z0-817). I don't have much detail so I still keep this post as it is but once I have got more information. I will also update this post. Today one of my readers asked about what is the latest OCPJP or SCJP exams available and is there a Java certification available for Java SE 9 and Java SE 10? This prompted me to browse through Oracle's certification website. During my casual browsing, I noticed that even though it's almost a year since Java SE 9 was released and 6 months since Java SE 10 was released the latest Java certification is still the Java SE 8 certification. I know, you might be thinking about Java SE 11, which will come soon, but on the certification level, I don't see this happening. Anyway, I said great, as programmers are still digesting changes from Java 8 now have a chance to be certified the on latest Java 8. The certification is called, "Oracle Certified Associate, Java SE 8 Programmer - 1Z0-808" and has written for the Java SE 8 release. The format of the exam is similar to the previous certification e.g. Java SE 7 Associate and Professional exams (1Z0-803 and 1Z0-804). If you compare this with Java SE 7 exam, a number of question is higher and difficult comparing to and you will get 2.5-3.5 hours to answer all questions. Given this exam is available, I am sure programmers will start getting confused that whether should they go for Java SE 8 or wait for the more latest Java SE 9, 10, or 11 exams. My suggestion to all of them is that it depends on, if you are a fresh graduate from college and looking for a job, do Java SE 8 certification as soon as possible, it will help you to get a Job faster. On the other hand, If you already have a job and settling there, you can wait for some time until more updated Java SE certification exam is released. But, If you are not sure about the importance of Java certification itself I suggest you read my article about why you should do Java certification. Well, Oracle's Java certification exams don't vary a lot from one version to another, but given path-breaking changes in Java 8 e.g. lambda expressions, method references, new Date and Time API, Stream API for bulk data operations, I was hoping for some changes. The one I found under "Working with Selected classes from the Java API". So you can see that they have included some topic from new Date and Time API and Lambda expressions and functional interface. I am also expecting a lot of questions due to default methods, which has completely evolved some interfaces like java.util.Map. In the first point about creating and manipulating Strings, you can also expect new String joining functionality from Java 8 release. There will be no content from Java SE 9 and Java SE 10 will be tested even though they are out in the middle. It means no questions from Java Module system or new features of Java 10, though if you want to know about it, you can join The Complete Java Masterclass, which is recently updated for Java 10. Oracle recommends Java SE 8 Fundamentals training which is quite costly around 3750 USD for 5 days onsite training or virtual Live classes. Until you are completely new to Java, you can learn this stuff by yourself, but if you are in urgency and have money, you can think of joining those training classes. Instead of opting for that training, my suggestion is to join for online courses which are much cheaper and allow you to learn at your own pace and time. And, when it comes to Oracle's Java certification like OCAJP and OCPJP, Whizlab's OCAJP training course is my favorite. It provides most comprehensive coverage and given their experience in the area, you can rest assured of quality. There is also more than 50% discount available on this course for you. If you are looking for one more option then Oracle Java Certification - Pass the Associate 1Z0-808 Exam! from Udemy is also a good option and you can get it within $10 on flash sale which happens every month. This is an awesome book and has been updated a couple of times to remove any error and from the feedback of candidates. If you need more books then I suggest just read a couple of good Java 8 books, and you will be ready for examination. What is more important is practice some mock questions. Fortunately, there are a couple of good Java SE 8 certification practice simulators available from Whizlabs and others. Since I had used Whizlabs in past, I know their quality and you can use these test to prepare 75 to 80% of your exam topics. The questions mimic what you get in the real exam and difficulty level is even harder than actual exams. 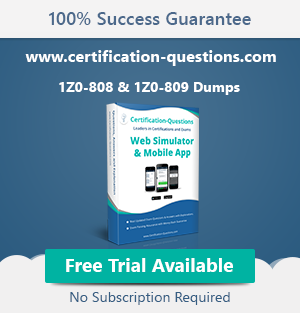 This means if you score over 80% on Whizlabs practice test, you will certainly do really well on actual Java 8 exams. Another good thing is that Whizlabs's is offering a 25% discount to Javarevisited readers if you buy both OCAJP and OCPJP simulator together. Which make sense because you have to pass both of these exams to become a certified Java developer. All you need to do is just use the coupon "JAVACOMBO2" while purchasing Java 8 simulator on Whizlabs. If you like to prepare with free resources then I have also collected a lot of free Java SE 8 questions from leading test providers like Entuware, Whizlabs, Certification-questions, and others. You can go through them to get an idea of the format and difficulty level of the actual exam. If you are new Java developer and not very familiar with various Java certification offered by Oracle, here is a handy certification path. Basically, you start with Oracle Certified associate programmer, then you go for Oracle Certified Professional (OCP), remember you need to pass an associate exam before you go for OCP. Both of these exams are based on core Java and recommended for every Java developer. In the same space, you have Mobile application developer and Business Component Developer for Java guys who work on Java ME and Java EE. Once you are a certified professional, you can consider preparing for Oracle Certified Expert exams. There are four of those, Enterprise JavaBeans developer, Java Persistence Developer, Web Service Developer and Web Component developer, with the respective area of expertise. For example, a Java Web Service Developer should be expert in both SOAP and REST web services in Java application. The Last set is for Oracle Certified Master, you can choose either to become Enterprise Architect or Java Developer focused on core Java, which you can directly give after becoming Oracle Certified Java professional. If you are interested, you can register for the exam at education.oracle.com and locate a test center near to you. You can also think of joining The Complete Java Masterclass, which covers the core language features and Application Programming Interfaces (API) and you will learn use to design object-oriented applications with Java Standard Edition 10 (Java SE10) Platform. You can use this course to further develop your skills with the Java and more importantly to prepare for the Oracle Certified Professional, Java SE 8 Programmer Exam. 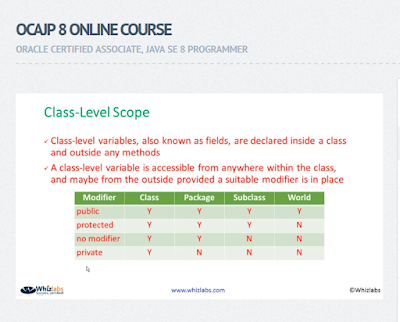 I will keep posted about Java SE 8 and any updated Core Java certification here. If any of you take this exam, please share your experience, that would be immensely helpful for the fellow developer who is thinking to take this exam. If you are confused between Java SE 7 and Java SE 8 certification, think of your need, version does not matter as much you are certified or not. As I said, if you are looking for Job then better get certified with OCA or OCP for Java SE 8, rather than waiting for more up-to-date Java certification like Java 9 or Java 10 certification. If you are not in a hurry then wait until more updated Java certifications come to like something which is based upon Java 10, but there is no guarantee when they will be released, as I have heard no news about them yet. Though training is not mandatory for appearing in Java SE 8 Oracle Certified Associate (OCA) certification, it will give you a head start in how to use Java SE 8 features in your day-to-day programming. If you are not a regular programmer and haven't touched Java for more than six months, you can really benefit from this training. What about JavaServer Faces Developer? "The Oracle Certified Expert, Java EE 6 JavaServer Faces Developer certification is designed for those who have experience working with the Java Enterprise Edition front end. The ideal candidate is also experienced with developing web applications. If you're an Application Development Framework developer you will also have the skills to make the short jump to getting certified on this technology. " I am reading your blogs(both javrevisted & java67) regularly. Becos of that i have known many things daily. Could you please give me some suggestions to write JavaSE 7 OCA exam. Hello AlexPandiyan. C, Thanks for being a regular reader and supporting my blog. Let me know how exactly I can help you with Java 7 OCA Exam? If you are looking for books, I have already shared couple of them in this blog, and if you are looking for mock exam, I would suggest using Whizlabs Simulator for Java SE 7, that would be more than enough to get a good score. Thanks for your reply paul. Please share link of that article about books. I want to know if there any free websites conducting mock exam for OCA? I just the registration website, the exam duration is only 150 minutes. willing to face SE 8 beta on 15Nov2014. If I,clear OCJA SE 8 (1Z1-808 beta),then can I go for OR eligible for SCJ Programmer/Professional SE 7/SE8?,please guide me.Thanks in advance. I think if you already clear OCAJP SE 8 (1Z1-808 beta), then you are already Java certified, what's the point of doing another certification for a version lower than you just did I mean OCPJP 7. Java SE 8 Programmer I exam. Unfortunately the beta is closed from 15th November and you need to wait for 10 weeks to give this exam, once production version is available. which also means that you need to spend more money around 360 USD. As I said before, if you don't hold any previous SCJP exam then you need to first clear associate level and then professional level. Also passing any Oracle beta exam is the same as passing a production exam. As said in Oracle site, if you were to pass all the beta versions of the exams required within an Oracle Certification path, you will earn your Oracle Certification credential. Since beta exams has more questions than production exam they allow more time to complete it, it's more of a feedback gathering process, but you will only be judged on the questions which make to production exam, that's why scoring of beta exam and production exam is same. If I take the exam and get "Oracle Certified Associate Java SE 8", can I take the exam for "Oracle Certified Professional Java SE 7"? Hi!! what about the exam scheduling ??? Hi, Have you completed your certification? Please share your experience and highlight about the difficulty level of exam. Which books you recommend to prepare for Java SE 8 examination? Hi , May I know what is difference in exam 1Z0-809 and 1Z0-808 ? what is programmer 1 and programmer 2 ? and do I have to complete both of those exams to give OCP for SE 8 ? Hello @nk, In order to pass new Java SE 8 certification from Oracle, you need to pass two exams, 1Z0-808 and 1Z0-809. First is associate level exam also known as OCAJP8 and second is programmer level OCPJP8. 1Z0-808 is available now and you can take it anytime but 1Z0-809 is not yet available, which means you need to wait couple of months to become a fully Java 8 Certified programmer, even if you clear 1Z0-808 or Java SE 8 associate exam. @Anonymous, You can see this article for my recommend books for Java SE 8 certification. They are essentially the books which you will use to learn Java 8. Exam topics are not much difference then content covered on those books. @nk, just to add on what I said, Oracle also provides upgrades exams for Java developers who are already certified. So if you are a certified Java developer you can take 1Z0-810 exam to become Java 8 certified Professional. This is similar to 1Z0-805 upgrade exam for Java 7 Professional. @Anonymous, thanks for sharing your 1Z0-810 exam notes. For those who doesn't know 1Z0-810 is exam to upgrade your Java certification for Java SE 8. 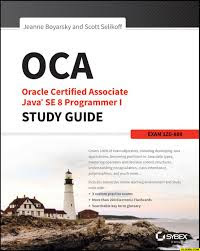 If you are already certified you are eligible for this exam, but if you first timer then you need to pass two exams OCAJP and OCPJP, both has different code for Java 7 and Java 8. Is 1Z1-808 exam the beta exam you mentioned in your blog? @FYS, 1Z1-808 (Oracle Certified Associate, Java SE 8 Programmer) was in beta when I wrote this post. It's now available as full exam. BTW, 1Z1-809 (Oracle Certified Associate, Java SE 8 Programmer) is not yet released so expect it to enter beta soon. apologies for the my rather naive post , but I am getting quite lost about the 1Z1-808. Is it me , or there are just not so many available books to study? In comparison to SE7 exams, seems that the SE8 is not "there" yet. Correct? However, if you have "the" book for 1Z1-808 to recommend please do. I am really confused whether I should go for Java 7 or 8 OCJP Exam. Please suggest I should go for 7 or 8 and why? I am 3+ years experienced Java Developer. I have recently changed job and looking to get some certifications to upgrade my profile for future. @Anonymous, If you are curious to learn Java 8 then you can for OCAJP 8, OCPJP 8 is not yet out but if you are looking for certification for Job purpose then you should go for OCAJP7. You can also take a loot at my another article on same topic. Hi Paul, I have passed OCP java 6 1Z0-851 and now I am thinking to appear in Java8 certification exam. I have read your blog and all comments then I got to know that 1Z0-810 is certificate upgrade exam. Could you please tell me in which certification exam I need to appear 1Z0-808 or 1Z0-810. Hello , apart from pass OCP Java 8 who i need to submit a coursework or something to oracle before i will have the certification ? First is your associate level exam, while second and third is the programmer certification. Only difference between 1Z0-809 and 1Z0-810 is that later is an upgrade exam and you must have a Java SE 6 or prior certification to appear on it. All certifications are now available, they have come out of beta long ago. @Isac, If you pass the OCP then you don't need submit any course work. I haven't done done any java certification. But i'm confused whether to go directly for OCPJP8 or should i go for OCAJP8 first. what will happen if directly go for OCPJP8. @anu You can take OCPJP8 directly, but even if you pass you will qualify for getting the certification only if you pass OCAJP8 as well. So it is better to go with OCAJP8 first and then OCPJP8. I am an average student. Can u please tell me Approximately how many days of preparation is required for OCAJP8 ? @Anonymous, if you are completely new to Java and you are not on programming job than you should at-least take 4 to 6 months to practice daily. read books, participate on forums and code daily. i am preparing for ocajp8 exam and i am not able to decide which one is better whether it is enthuware sample paper or whizlabs??????? OCAJP exam price is Rs 9604 and for OCPJP it is of the same price. @Hari, Thanks for your price but not sure Unknown ask in terms of Indian rupees. @Unknown, price of Java 8 certification varies depending upon which country you belong or where you intent to give exam. In India, as Hari said its around 10K, in USA its around 360 USD. You can check the price in Official Oracle certification site mentioned in this article. fresher and had done core java and advanced java course and looking for a job. Could anyone please advice me which one to opt? @Unknown, to remain competent and relevant, I suggest to opt for OCP 8 exams. Java 8 has new features such as lambda expressions which represents a move to bring more functional programming abilities into Java, streams (and parallel streams): Excellent example of applying functional programming in practice, and Java date and time API. I am 5th semister Software engineering student,should i go for OCAJP7 or OCAJP8 certification? How much average time will be required for its preparation?? @Anonymous, you should go for OCAJP8 certification. On average you need atleast 3 good month of preparation to score anywhere between 80 to 100. Thanks Javin Paul, and what books would you suggest? OR Learning from kethy sierra and bert bates OCAJP7 and then learning additional features of SE8 from internet would be a good option or not? @You can use the Study guide for Java 8 and if you really want to learn Java 8, you can choose couple of books from my Java 8 book list. I personally like Java SE 8 for Really Impatient though. is ocajp 8 exam is compulsory for ocpjp 8 certification? If so then how i register for it? @Tanvi, No it's not compulsory, if you are taking 1Z0-809 exam, but if you want to upgrade 1Z0-810 (Upgrade Java SE 7 to Java SE 8 OCP Programmer) you need a previous certification. Can any one tell me the theme of java se6,7or 8 exam is it mcq or program development?? I am new in Java world. Am I eligible for OCAJP (Java 8 Certification)? Which book I should refer for preparation? I am Java 5 certified. I want to appear for Java 8. Shall i appear for OCP 8 directly or i need to go for OCA 8 too? 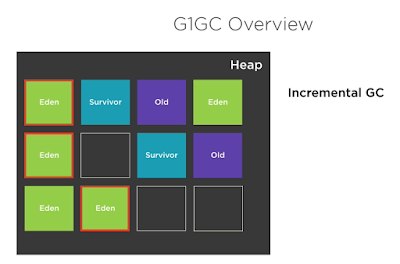 For the Java5 OCP available just only one upgrade exam 1z0-813. Are there any dumps available for ocajp 8 ? I have read some books.. but I still feel anxious to give it. Any kind of help will be appreciated. Hi can u plz send some PDF and dumps for ocajp 8 ..I'm gonna to prepare on this..